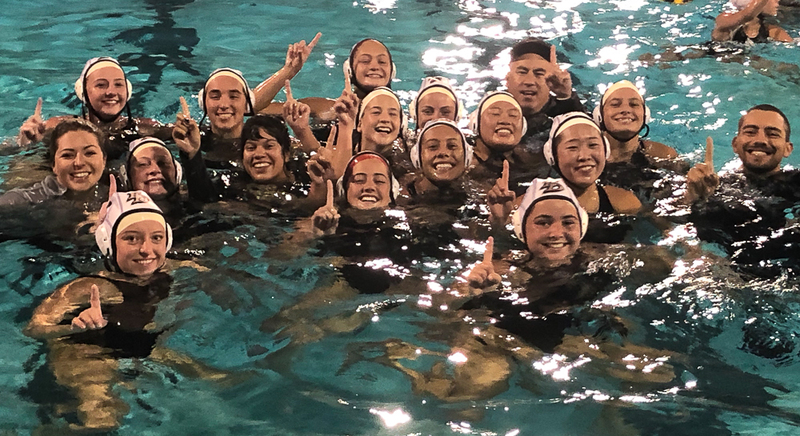 The El Dorado High School girls water polo team celebrated a victory over El Modena High School on Tuesday, January 29 to win their first league championship since 2006! As a large contingent of Golden Hawk fans cheered on the team, both players and coaches ended up in the pool after the big win. This includes head coach, Bryan Swarm, and assistant coaches, Kevin Ahaj and Courtney Folsom. With a 22-5 record so far this season, El Dorado will enter into CIF the first week of February. As a side note, boys water polo won league this year as well, ending a 17 year drought and advancing to the quarter-finals of CIF. 1 Comment on "EDHS girls water polo wins league"
Congrats team for your successes this year. I hope to hear more good news about your CIF victories.